My date with the Diet Chef… | StyleAble Fashion For Everyone! Losing weight in order to be healthy is great, but if I am honest, that hasn’t always been my motivation. There is an even bigger part of me that just wants to wear the clothes that I love and look great in them…sounds shallow doesn’t it. Thankfully, losing weight usually involves eating healthily and doing exercise, which has a knock-on effect of benefiting both your physical and mental well-being – Win, win! 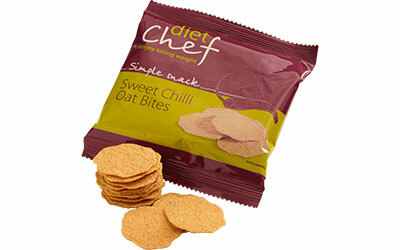 When I first heard about Diet Chef, it ticked a number of boxes for me. I wouldn’t need to cook – tick, they had a huge selection of vegetarian options – tick and they would deliver it to my house – big tick! What I wasn’t prepared for, was the uncomfortable feeling associated with eating packeted microwave food everyday. I took for granted that I would be happy not to cook for a month whilst being on the Diet Chef plan, but I missed cooking fresh produce and serving myself fresh meals once a week (which is my cooking limit!). I also felt weird using the microwave so often. This said, once I realised that I was actually supposed to add fresh vegetables to my Diet Chef meals everyday, things got alot better and yes…I lost weight! Week 1: I get to work and skip breakfast because I am late. At lunchtime I opt for the tuna pasta. I am surprised by how tasty it is…or am I just really hungry? I enjoy the pasta so much, that I want to continue the fun and end up eating one too many snacks – the caramalised onion crisps are delicious. I realise then that I need to keep the snacks at home and only keep a day’s allowance in my desk drawer. Having that many snacks around is not a good idea for greedy gals like me. 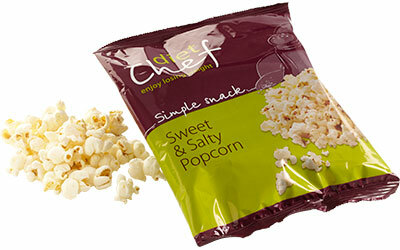 The week goes on and I enjoy not having to cook or wash dishes ( I am eating straight out of the packets). 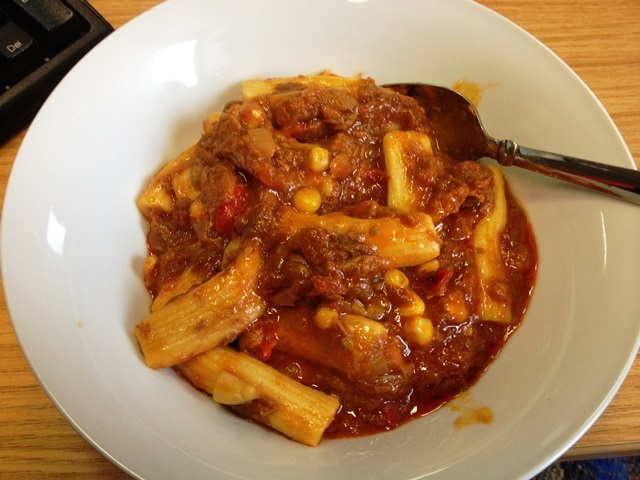 I still go through too many snacks, but I have some really nice calorie controlled lunches and dinners throughout the week, like the tomato soup, vegetable curry and pasta dishes. Week 2: I have decided to be strict and not go over my quota of snacks if it kills me! – I make a firm decision to stick to one per day. 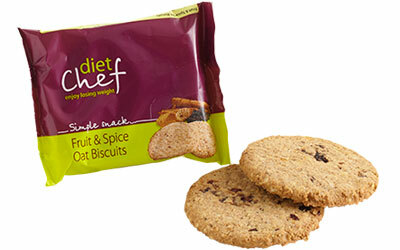 The Diet Chef choc cookies are just too good – soft and yummy. I feel like I am having too much fun and start to worry about the fact that the food does not need to be stored in the fridge – how is this possible!?! Decide to incorporate exercise into my plan and start playing tennis and going to the gym. By the end of week 2 I am feeling lighter and pretty smug. Still really happy that I don’t have to cook…Whoop! So far so good. Week 4: Monday morning and I am off to play tennis and go to the gym – I am so smug! My clothes fit better and my fiance keeps grabbing at me – this diet seems to be working. I have a protein bar for breakfast which is huge and heavy, but I think it actually improves my gym session. The week goes by and I am getting bored and don’t even feel won over by my weight loss. I want to go and eat meals in restaurants and I miss my partner’s cooking. What’s more, having a protein bar on a Saturday morning is pants! I distract myself by going to play tennis (alot). It’s Sunday and I give in to a cheese ball in sesame seeds which my lovely hubby makes for me – I don’t want to be slim anymore! Beginning to embrace my thighs. This has to be one of the easiest and best thought out diets I have ever been on, but it takes work. Yes, you won’t have to cook but you will have to dedicate yourself to eating Diet Chef meals, which means microwave dinners, no gorging on treats, no sumptuous feasts and you may find yourself foregoing a fry up for a healthier breakfast bar option. I lost a few pounds and the whole experience got me thinking about my eating habits, but I am a foodie and a restaurant reviewer too. This, coupled with living with a chef made the whole thing feel like climbing a mountain that I wasn’t ready to climb (I am still doing up my boots). I suppose I didn’t want to lose weight badly enough to stick to it. In short, I am no longer doing the Diet Chef plan. If you want to diet, then this is probably one of the easiest ways to do it, without feeling like you are being deprived. There are lots of meals to choose from and I have to say, they taste pretty good. Whilst on the Diet Chef plan, I often wondered what would happen once I stopped eating their meals, would I lose weight and then balloon back up once I went back to eating normally? Since returning to my normal eating patterns, I have not gained the weight back, however I feel that it may be creeping up on me. Maybe I will revisit the Diet Chef in the future, but for now I am going back to embracing my thighs! *In addition to the packaged meals, customers are encouraged to consume an average of two portions of fruit, three portions of vegetables and 500ml of semi-skimmed milk each day for a healthy, balanced diet. I am in the weight loss industry. And, CONGRATULATIONS on your job well done! I love to hear them! Again this is all palaver. Proteins are used by ALL﻿ cells to reubild the cell, in the event there isnt enough then the body will break down muscle. Muscle only shrinks (atrophy) from lack of exercise. You need﻿ 1-1.5 grams of protein per lean weight per day, thats 100 grams at most for all of you per day. Anything less and your muscles will simply shrink, and your metabolism will decrease. You do not NEED carbohydrates AT ALL, your brain can use ketones just fine.